We are a small animal and exotic veterinary practice in West Nashville, TN. We are committed to promoting responsible pet ownership, preventative health care, and health-related educational opportunities for our clients. 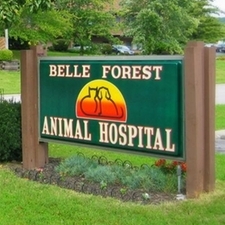 Belle Forest Animal Hospital strives to offer excellence in veterinary care to Nashville, TN and surrounding areas. Surgery, dentistry, ultrasonography, and laser therapy, are just a few of our services that can benefit you and your pet.